The Philharmonic premieres John Adams' Scheherazade.2. 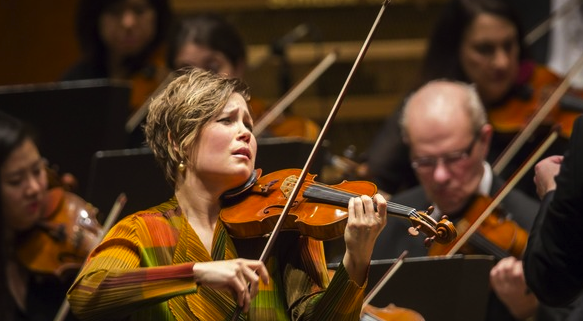 A woman against the masses: violinist Leila Josefowicz at the New York Philharmonic. As music director of the New York Philharmonic, Alan Gilbert has been instrumental in engineering the premieres of new works by still-living composers. One of those premieres took place last week with the first performances anywhere of Scheherazade.2, John Adams' new "dramatic symphony for violin and orchestra." It is in fact a hybrid creation: a four movement symphony with aspects of a violin concerto, minus any structural resemblance to the latter form. The solo part was played by Leila Josefowicz. In a nod to the more familiar work by Rimsky-Korsakov, Mr. Adams' new piece was prefaced by two examples of early 20th century Russian composition. At the opening of Friday's concert, Anatoly Liadov's The Enchanted Lake reminded audiences of how good this orchestra can sound under Mr. Gilbert's direction. This six-minute tone poem was taut and focused, with diaphanous textures that thickened and gradually grew into standing columns of sound. Liadov was a brilliant miniaturist but one wishes that he had made this single movement last a little longer. This was followed by Petrushka, Stravinsky's second major ballet score for the Ballet-Russe and (as part of the double-feature multimedia presentation A Dancer's Dream) central to the Philharmonic's upcoming European tour. Here, the work was played straight, stripped of the videos, costumes and rigmarole. Happily, the brass and wind players were on their game, detailing the story of a lovesick puppet whose affections ultimately end in his destruction. Before the performance of Scheherazade.2, Mr. Adams and Mr. Gilbert took the stage, offering a brief Q & A and some insight into the work's programme. Mr. Adams explained how his Scheherazade (represented by the solo violin) was facing confrontation by religious radicals. After an ardent and sexually ambiguous love scene (second movement) she is attacked and tried ("Scheherazade and the Men With Beards") before finding sanctuary in the finale. The opening of Scheherazade.2 proved a far cry from the usual Adams minimalist pulse, with the solo violin 's monologue taking place against a backdrop of prominent horns and swirling orchestration. While the violin was the featured soloist, Mr. Adams also made liberal (and even excessive) use of the cimbalom, a concert-sized dulcimer played with hammers. The cimbalom offered expressive, pianistic and almost vocal effects throughout the work. It would double the violin on occasion and provide an Eastern flavor to the music, strange spice added to suggest exoticism in the score. Although Mr. Adams eschews traditional movement labels, this piece finds the composer employing an almost classicist symphonic structure. The thematic statements and initial expansion of the opening ideas were in turn followed by an impressive and violent middle section depicted the chase, with horns and woodwinds chasing the violin. Calm was restored in a slow passage, with Ms. Josefowicz tapping scrapping and playing near the bridge to show her character's emotional distress. In the coda, ideas from the first movement were restated and reexamined by the orchestra, the solo violin and the ever-present cimbalom. The second movement was a love scene, skilfully orchestrated for harps, low winds and tuned gongs that sounded almost keyboard like against the sensual violin line. This gradually became animated and more passionate, ending in a violent climax. The third movement scherzo pitted Ms. Josefowicz against an increasingly agitated and stentorian discourse from the expanded brass section. The violinist held her own, attacking her tormentors at last in a furious display of notes. 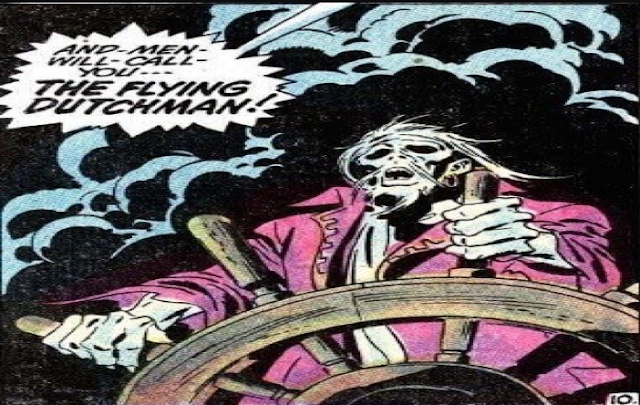 In the finale, Mr. Adams and Ms. Josefowicz chose flight in the face of those tormentors, illustrating the sad truth that in the modern world we live in, the princess does not always win the day.